We use our muscles every day—from our brain to our quads—for the smallest and the biggest tasks. Muscles make up an impressive 45% of our body mass. Did you know that muscle is an endocrine organ and regulates metabolism? Did you know that using your muscles can actually help reduce systemic inflammation? 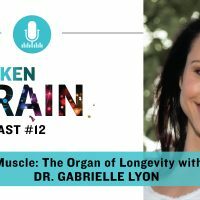 Today on The Broken Brain Podcast, Functional Medicine practitioner Dr. Gabrielle Lyon joins our host, Dhru Purohit, to talk about muscles and optimizing our body composition by eating protein, strength training, and more. Dr. Lyon specializes in muscle-centric medicine and works with her patients to fine-tune metabolism, balance hormones, and transform body composition. If you want to learn all about protein, and what it can do for your muscles, how it can increase your energy, and increase your longevity, I hope you’ll tune in to our podcast. 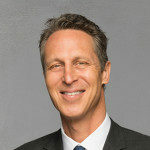 PS – Learn more about Dr. Lyon’s work at www.drgabriellelyon.com. You can also find her on Instagram. Evidence-Based Recommendations for Optimal Dietary Protein Intake in Older People: A Position Paper From the PROT-AGE Study Group. Per meal dose and frequency of protein consumption is associated with lean mass and muscle performance.